Parrots are a lot more than just loyal companions. Relatives of Martin Duram, who was murdered in May 2015, are hoping that Martin’s African grey parrot can provide pivotal testimony. Martin’s wife, Glenna Duram, is a suspect in his murder. The African grey parrot, named Bud, belonged to the deceased. In a chilling video taken several weeks after Martin’s murder, Bud was caught saying, “shut up,” then mimicking a female voice. 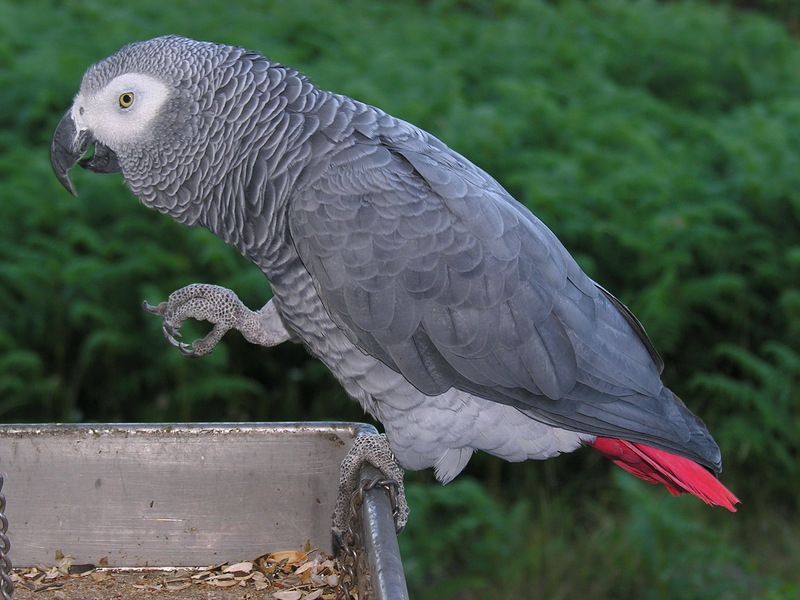 Bud then exclaims, “don’t f*cking shoot.” Bird experts claim African grey parrots are known for mimicking voices, both male and female, and believe Bud was reciting an argument between a man and woman he heard recently. Could Bud be mimicking an argument between Martin and Glenna Duram moments before Martin died? That’s what Martin’s parents believe. Glenna was found with a bullet wound to the head but still alive. The family believes Glenna murdered Martin and then attempted to commit suicide. While the video does appear to be convincing evidence that Bud was “parroting” an argument he recently heard, is the bird’s recitation admissible evidence? The United States legal system allows witnesses to testify in court during the trial of a suspected criminal. In general, a witness is someone who has, claims to have, or is believed to have, relevant knowledge to an event or other matter of interest. There are several different types of witnesses. A percipient or eyewitness testifies as to what he or she perceived through the senses (i.e. seeing, hearing, smelling, or touching). Expert witnesses are people who have superior knowledge to the average person as to a specific topic for which he or she will testify. Doctors, for example, are considered expert witnesses. Character witnesses vouch under oath as to the good reputation of another person. In addition, all witnesses must swear under oath that their testimony is true and accurate. Further, both the defense and prosecution must be given the opportunity to ask the witness questions relating to his or her statements. In this case, Bud would be considered an eyewitness. However, he could not swear as to the veracity of his testimony. There is also no ability to cross-examine a parrot, or ask them any questions as to what they actually saw. Any testimony by an animal would call into question the truthfulness of the statements. When the words of Bud are weighed against Glenna Duram, who swears she didn’t kill her husband, a court of law would not allow Bud’s testimony. Moreover, there is no case precedent allowing any animal, including parrots, to be witnesses in a trial. As such, any evidence they may provide would be inadmissible. While it appears that the U.S. has a strict restriction on animals as witnesses, the U.K. is more open to the idea. In 2008, a dog named “Scooby” became the first animal in the world to appear as a witness in a murder trial. Scooby was believed to have been with his owner when she was found hanging from the ceilings in her home in Paris. Police thought it was a suicide, but the woman’s family demanded a murder investigation. During a preliminary hearing, her faithful dog was led into the witness box by a veterinarian to see how it reacted to a specific suspect. When the dog saw a particular suspect, the dog barked furiously. The purpose of the preliminary hearing was to determine whether the dog’s “testimony” was sufficient evidence to launch a full murder investigation. Ultimately, the French judge concluded that Scooby’s barking was inconclusive.